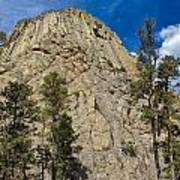 There are no comments for The Other Side Of Devils Tower. Click here to post the first comment. 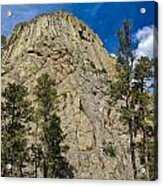 As one walks around the base of Devils Tower the formation changes. The back side does not appear as eroded as the iconic front side. 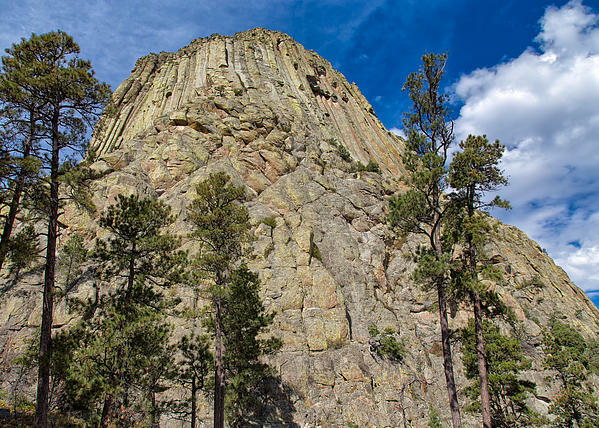 Devils Tower did not visibly protrude out of the landscape until the overlying sedimentary rocks eroded away. As the elements wore down the softer sandstones and shales, the more resistant igneous rock making up the tower survived the erosional forces. 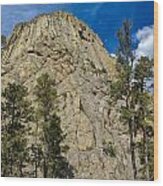 As a result, the gray columns of Devils Tower began to appear as an isolated mass above the landscape. 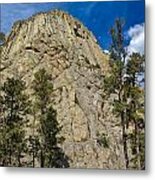 As rain and snow continue to erode the sedimentary rocks surrounding the Tower's base, more of Devils Tower will be exposed.